One of the most popular birding tour in Colombia in where the lowlands of Magdalena Valley and Santa Marta are the perfect habitat to more of 500 species. Visit to Santa Marta Mountains one of the endemic hot-spots of the world will increase your hit-list and the opportunity to see amazing species. 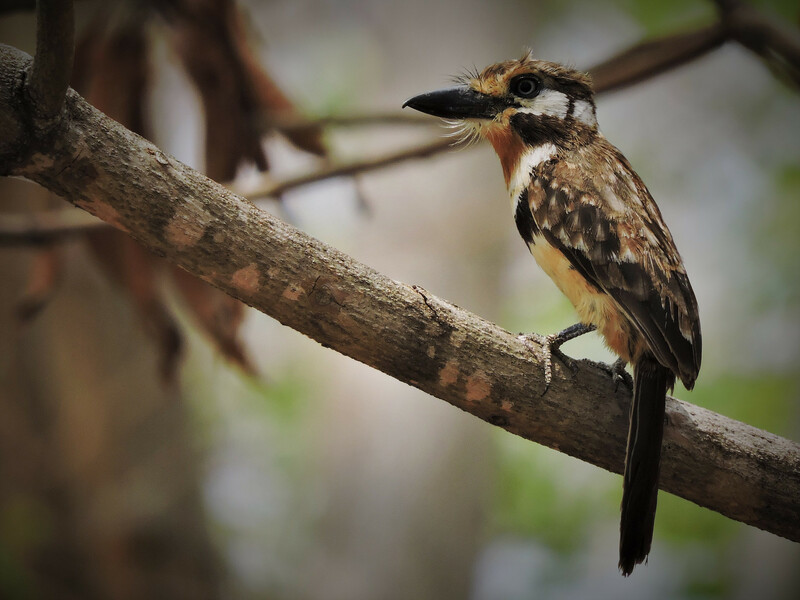 You will visit other fantastic ecosystems as Guajira peninsula in where you will see birds limited just of the dry forest of this location in Colombia. Visit the lowlands of Magdalena Valley, the perfect habitat to over 500 species! We will visit this day during the day three very special places close to Bogota, La Florida Park of the wetland ecosystems in where is possible to see very important birds of the savanna of the highlands as Bogota Rail, Apolinar Marsh Wren, Silvery throated Spinetail, Noble Snipe, Subtropical Doradito and more. 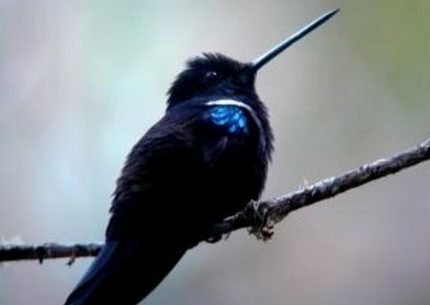 After La Florida, we will visit the “Jardin Encantado ”hummingbird house in San Francisco, we will can see as to 16 different species of hummingbirds as Indigo capped Hummingbird, Gorgeted Woodstart and White bellied Woodstar; after of this place we will visit Laguna El Tabacal Location, a nice place of a secondary forest with very interesting birds as to Rusty brested Antpitta, Rosy thrust Tanager, Grey throated Warbler, Stripe breasted Spinetail and more. In the final of the day, we will transfer to Mariquita village to rest. Night in Casa Quinta Vacacional Hotel. We will visit the dry forest and fields of Laguna del Hato in where we will can find many birds. Some interesting birds of this day are Blue ground Dove, Lance tailed Manakin, Velvet-fronted Euphonia, Apical Flycatcher, Pearl Kite, Ruddy Ground-Dove, Common Ground-Dove, Yellow-crowned Parrot, Dwarf Cuckoo, White-collared Swift, Short-tailed Swift, Barred Puffbird, Western Slaty-Antshrike, White-fringed Antwren, Jet Antbird, Vermilion Flycatcher, Fork-tailed Flycatcher, Panama Flycatcher, Scrub Greenlet, Pale-breasted thrush, Buff-breasted Wren, Rufous-capped Warbler, Buff-rumped Warbler, White-eared Conebill, Plain-colored Tanager, Grassland Sparrow, Slate coloured, Ruddy-breasted, Gray, and Yellow-bellied Seedeater, Blue-black Grassquit, and much more. 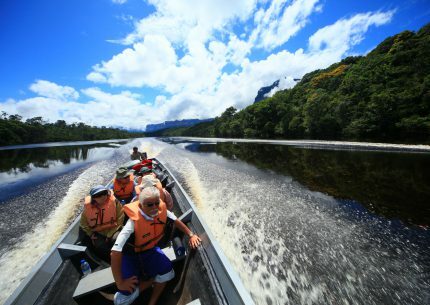 In the afternoon we will transfer to Rio Claro natural reserve in where we will rest close to the amazing clear river. Night in Rio Claro Natural Reserve. We will search birds all day Rio Claro Natural Reserve. 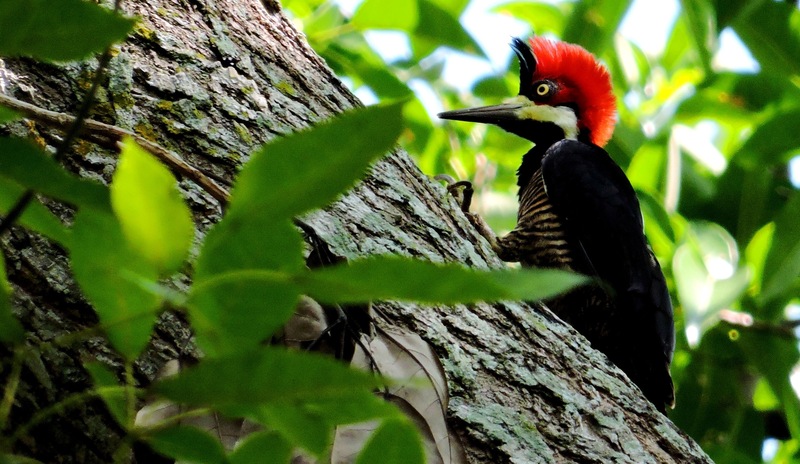 You can enjoy the incredible humid tropical forest and amazing biodiversity in this reserve. Some birds of interest here include White-mantled Barbet, Sooty-ant Tanager, Colombia Chachalaca, Beautifull Woodpeacker, Magdalena Antbird, Antioquia Bristle-Tyrant, Saffron-headed Parrot, Moustached Brush-Finch, Citron-throated Toucan, Black-bellied Wren, Black-headed Tody-Flycatcher, Marble Wood Quail, Chestnut-backed Antbird, Stripe-throated Hermit, Ruby Topaz, Purple-crowned Fairy, Western White-tailed Trogon, Pied Puffbird, Barred Puffbird, White-whiskered Puffbird, Cinnamon Woodpecker, Jet Antbird, Pacific Antwren, Brown-capped Tyrannulet, Southern Bentbill, Long-tailed Tyrant, Rufous Piha, Blue Cotinga, Black-chested Jay, Rufous Wren, Scarlet-browned Tanager, Plain-coloured Tanager, Golden-hooded Tanager, White-ear Conebill, Slate-coloured Seedeater, Thick-billed Seed Finch, Large-bellied Seed Finch, Masked Yellowthroated, Orange-crowned Oriole, Fulvous-vented Euphonia and so much more. Night in Rio Claro Natural Reserve. Birding all the morning in Rio Claro Natural Reserve all the morning, transfer to San Vicente de Chucuri, a village in Eastern Andes close to Yariguies National Park and Cerulean Warbler Reserve, we will sleep in a very nice colonial hotel in this village. 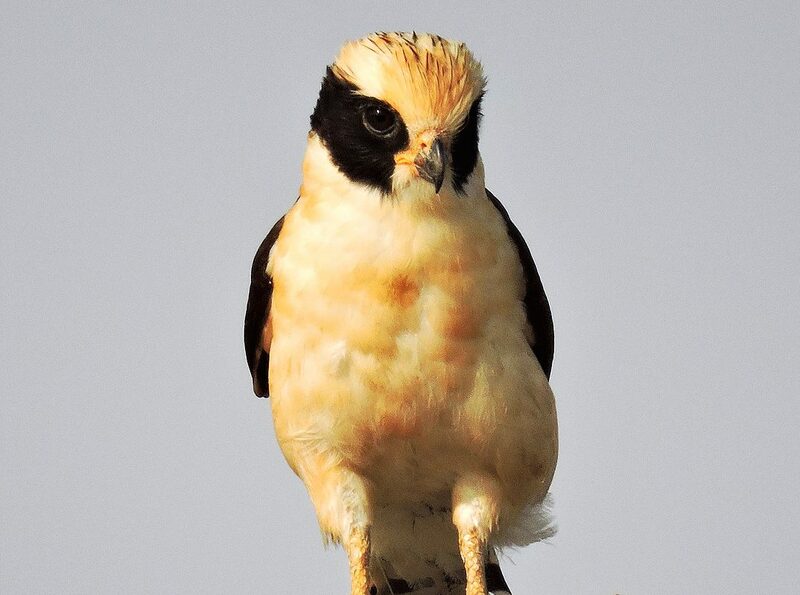 We will do some stops on the road to see birds in the lowland wetlands of Magdalena Valley. 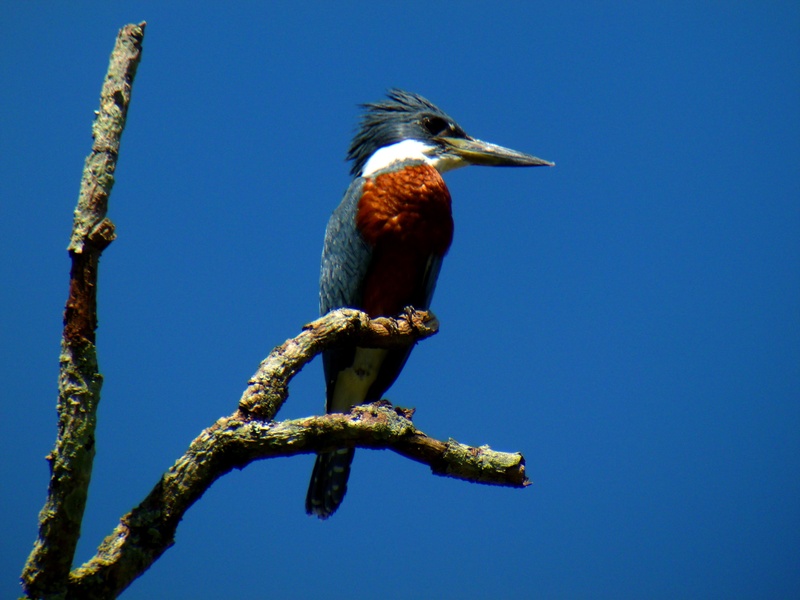 Some interesting birds include: Northen Screamer, Bare-faced Ibis, White-collared Hawk, Yellow-crowned, Orange-winged and Blue-headed Parrot, Little Blue, Capped, Cocoi and Striated Heron, Neotropical Cormorant, Black-bellied and White faced Whistling Duck and many more. Night in Quinta Tibigaro Hotel. We will up walking (1 hour) early in the morning in 4×4 cars to Yariguies National Natural Park and the forest of Cerulean Warbler Reserve, we will stay all day in the forests searching many interesting birds. We will walk on a slippery path “Lengerke Path” built as 130 years ago. In the afternoon we will come back to San Vicente de Chucuri to rest. Some nice birds this day include: Gorgeted Wood Quail, Black Inca, Parker’s Antbird, Magdalena Tapaculo, Colombia Mountain Grackle, Double-banded Greytail, Long-tailed Tapaculo, Andean Emerald, Highland Tinamou, Mustached Puffbird,, Red-headed Barbet, Crimson-rumped Toucanet, Spotted Barbtail, White-bellied Antpitta, Ochre-breasted Antpitta, Yellow-throated Spadebill, White-throated Spadebill, Green and black Fruiteater, Pavonine Cuckoo, Golden-wing Manakin, Rufous-naped Brush Finch, Uniform Antshirke, Chestnut-crowned Gnateater and more. We will go to go to search more birds in the coffee fields of san Vicente de Chucuri and the road to “La Germania” spot; we will look birds also on the canopy trees and grasslands. 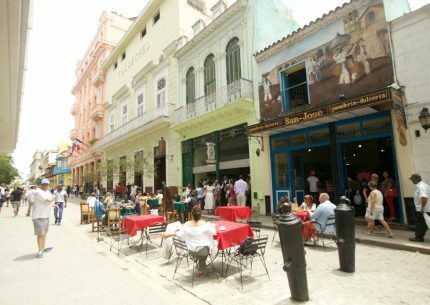 In the afternoon we will transfer to Ocaña city in where we will rest in a nice hotel close to the main park of the city. Some important birds this day are Chestnut-bellied Hummingbird, Niceforo´s Wren, Turquoise Dacnis, Red-billed Emerald, Bar-crested Antshirke, Yellow-browed Shirke-Vireo, Russet-crowned Cake, Orange-billed Nightingale-Thrush, Slaty Spinetail, Cinereous Becard, Bicoloured Wren, Band-back Wren, Sooty-headed Tyrannulet, Striped Cuckoo, Lemon-rumped Tanager, Large-billed Seed-Finch, Lineated Woodpecker, Rufous-naped Greenlet and many north migrant as Morning, Yellow, Cerulean, Blue-winged, Black and White, Blackburninan and Bay-breasted Warbler and many more. Night in Tarigua Hotel. 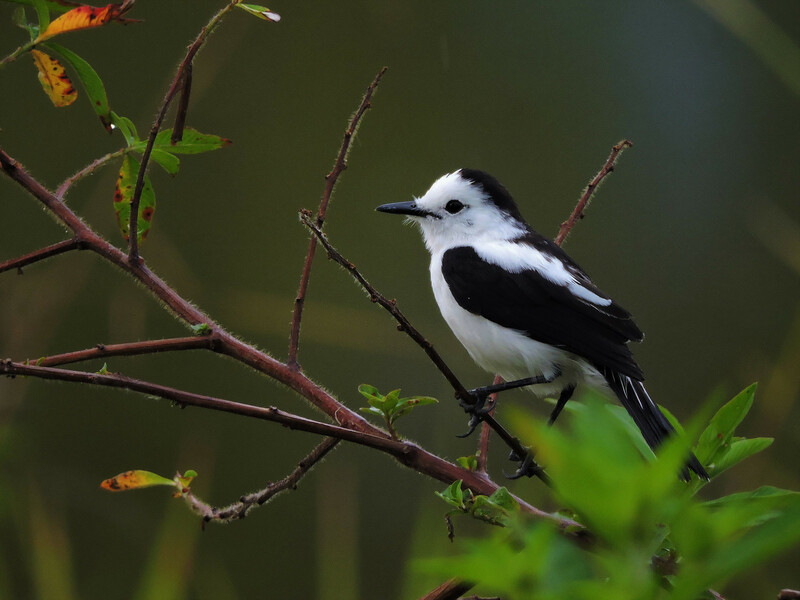 We will search birds all day in the bamboo forest and secondary forest of Bushbird Reserve; we will walk during all the morning per different paths and road around the reserve, in the afternoon after of break we will come back to the reserve to search more birds in some path of dry forest. In the night we will come back to Ocaña to rest. Some very nice birds include: Recurved-billed Bushbird, Grey-throated Warbler, Striped-breasted Spinetail, Lined Quail-Dove, Klage´s Antbird, Chestnut-bellied Thrust, Orange-billed Nightingale-thrust, White-bibbed Manakin, Band tailed Guan, Chestnut-capped Brush Finch, Black-headed Tanager, Burnished-buff Tanager, Speckled Tanager, Yellow-legged Thrush, Moustached Puffbird, Yellow-bellied Siskin, Cliff Flycatcher and others. Night in Tarigua Hotel. 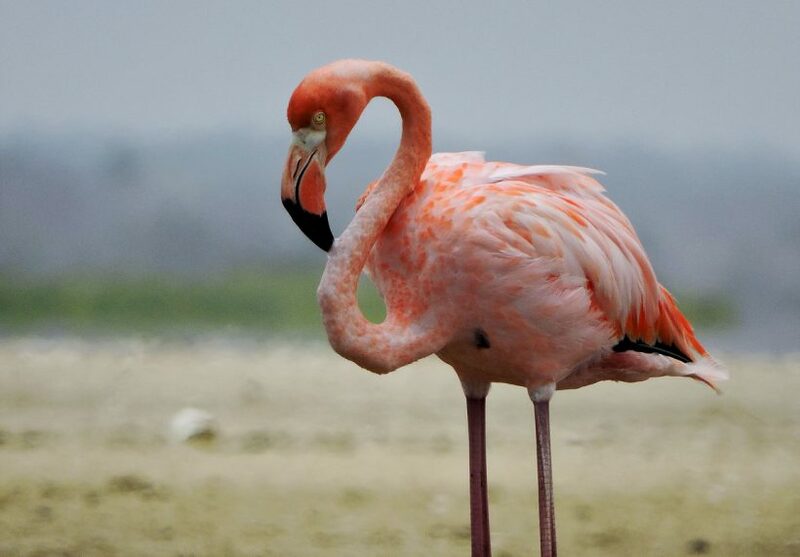 We will take the road to Riohacha city in where we will do some stops on the road to see birds, this is a long trip with fantastic birds to see; in the afternoon we will arrive to Riohacha city in Guajira peninsula in where we will rest in a nice hotel. Some interest birds to see this day include Green Ibis, Buff-necked Ibis, Jabiru, Double-banded Thick-Knee, Black-collared Hawk and many more. Night in Barbacoa Hotel. All morning searching the really nice and different birds of the Los Flamencos National Park, in the afternoon we will transfer to Santa Marta city and visit the VALE location searching the endemic Chestnut winged Chacalaca that is possible in this place. After to VALE you will transfer to Santa Marta City in where you will rest in a nice hotel. 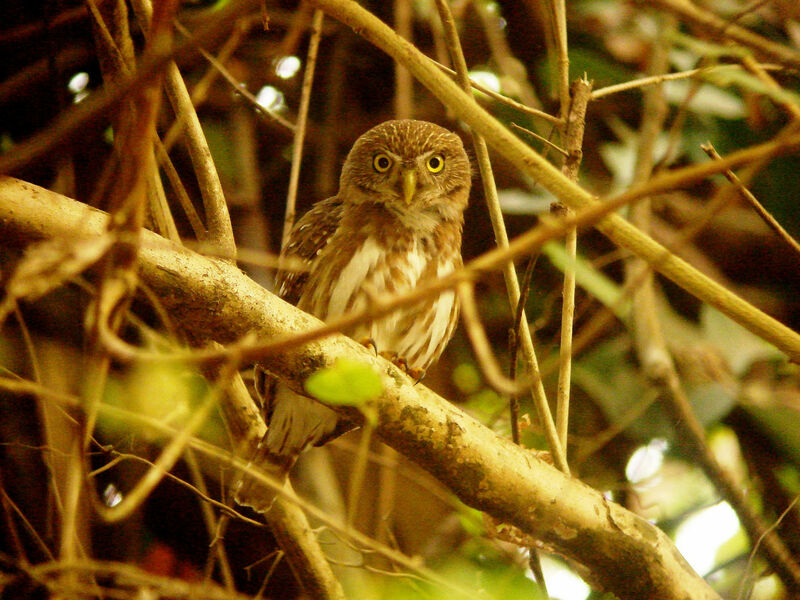 The species possible this day are Chestnut Piculet, White-whiskered Spinetail, Slender-billed Tyrannulet, Tocuyo sparrow, Vermilion Cardinal, Harris’s Hawk, Common Black-Hawk, Pearl Kite, Aplomado Falcon, American Kestrel, Ferruginous Pygmy-Owl, Bare-eyed Pigeon, Common and Ruddy ground-dove, Brown-throated and Blue-crowned parakeet, Green-rumped Parrotlet, Burrowing Owl, Red-billed Emerald, Buffy Hummingbird, Rufous-tailed Jacamar, Blue-crowned Motmot, Russet-throated Puffbird, Red-crowned Woodpecker, Straight-billed Woodcreeper, Caribbean Hornero, Pale-breasted Spinetail, Black-crested and Black-backed antshrike, White-fringed Antwren, Northern Scrub-Flycatcher, Southern Beardless-Tyrannulet, Pale-eyed Pygmy-Tyrant, Pearly-vented Tody-Tyrant, Vermilion Flycatcher, Brown-crested and Venezuelan flycatcher, Streaked Flycatcher, Social Flycatcher, Bicolored Wren, Black-chested Jay, Tropical Gnatcatcher, Tropical Mockingbird, Scrub Greenlet, Blue-gray and Glaucous tanager, Black-faced Grassquit, Pileated Finch, Grayish, Buff-throated and Orinocan Saltator, Saffron Finch, Yellow Oriole and many more. Night in GHL Costa Azul Hotel. Birding in Minca location and your beautiful humid tropical forest in the morning, after to the lunch we will transfer to El Dorado Reserve in where we will rest and enjoy a wonderful sunset. Some birds in Minca for this day include Santa Marta Blossomcrown, Santa Marta Foliage-gleaner, Santa Marta Tapaculo, Santa Marta Antbird, Santa Marta Sabrewing, Santa Marta Wood-Wren, Santa Marta Brush-Finch, Coppery Emerald, Streak-capped Spinetail, Black Hawk-Eagle, Crested Bobwhite, Military Macaw, Scarlet-fronted and Orange-chinned Parakeet, Red-billed Parrot, White-tipped Dove, Lined Quail-Dove (voice), White-collared and Chestnut-collared swift, Blue-fronted Lancebill, Green Violetear, Brown Violetear, White-vented Plumeleteer, Steely-vented Hummingbird, Collared Aracari, Keel-billed Toucan, Golden-olive, Lineated and Crimson-crested Woodpecker, Black-backed Antshrike, Greenish and Forest Elaenia, Yellow-olive and Ochre-faced (Yellow-breasted) flycatcher, Ochre-bellied Flycatcher, Black-headed Tody-Flycatcher, Social and Piratic flycatcher, Cinereous, Cinnamon and White-winged becard, Masked Tityra, Rufous-breasted and Rufous-and-white wren, Yellow-legged, Black-hooded, Pale-breasted, and Black-billed thrush, Black-chested Jay, Golden-fronted Greenlet, Brown-capped Vireo, Orange-billed Nightingale-Thrush, Rusty Flowerpiercer, Bay-headed, Black-headed, Black-capped, Blue-gray, Palm, White-lined and Crimson-backed Tanager, Streaked and Grayish saltator, Golden-winged Sparrow, Yellow-bellied Seedeater, Yellow-backed Oriole, Crested Oropendola and Thick-billed Euphonia. During the northern winter months these foothills harbor a good number of North American breeding migrants including Swainson’s Thrush, Yellow-throated Vireo, Tennessee, Golden-winged, Cerulean, Blackburnian, and Black-throated Green warbler, Rose-breasted Grosbeak and Summer Tanager. Night in El Dorado Lodge. We will search birds all day in San Lorenzo Ridge and the medium areas of El Dorado Natural Reserve, in where we can see many endemics of this special bird hotspot place. Some important birds this day in Santa Marta Mountains are: Santa Marta Parakeet, Santa Marta Screech-Owl, White-tailed Starfrontlet, Santa Marta Woodstar, Rusty-headed Spinetail, Santa Marta Antpitta, Brown-rumped Tapaculo, Santa Marta Bush-Tyrant, Yellow-crowned Whitestar, White-lored Warbler, Santa Marta Warbler, Santa Marta (Black-cheeked) Mountain-Tanager, Black-backed Thornbill, Colombian Nevada Brush-Finch, Bang´s Wood-Wren, Black-fronted Wood-Quail, White-tipped Quetzal, White-rumped Hawk, Band-tailed Guan, Sickle-winged Guan, Band-tailed Pigeon, Scarlet-fronted Parakeet, Red-billed Parrot, Masked Trogon, Golden-olive Woodpecker, Yellow-billed (Groove-billed) Toucanet, Emerald Toucanet, Montane Foliage-gleaner, Spotted Barbtail, Streaked Xenops, Gray-throated Leaftosser, Strong-billed Woodcreeper, Rusty-breasted Antpitta, Rufous Antpitta, Mountain Elaenia, Black-capped Tyrannulet, Venezuelan and White-throated Tyrannulet, Olive-striped Flycatcher, Black-throated Tody-Tyrant, Cinnamon Flycatcher, Yellow-bellied Chat-Tyrant, Golden-breasted Fruiteater, Orange-billed and Slaty-backed Nightingale-thrush, Great Thrush, Black-hooded Thrush, Slate-throated Redstart, Three-striped Warbler, White-sided Flowerpiercer, Blue-naped Chlorophonia and others. We will search more birds in El Dorado Reserve, medium and low elevation of Santa Marta Mountains during all day; in the afternoon we will transfer to Barranquilla city in where we will rest in a nice hotel. Birding early in the morning in Salamanca National Park in where we will be focus in some very important birds of mangrove ecosystems; we will look more birds also in the location named Km 4, road with some wetlands around in where is possible to see aquatic birds and other of dry and secondary forest. In the afternoon we will come back to Barranquilla in where you will can take a flight to Miami or to fight to Bogota and take a flight from El Dorado International Airport. Some birds include this day are: Sapphire-bellied Hummingbird, Sapphire-throated Hummingbird, Bicoloured Conebill, Pied Puffbird, Golden-green Woodpecker, Yellow-chinned Spinetail, Stripe-backed Wren, Russet-throated Puffbird, Caribbean Hornero, Green, Bare-faced- Glossy and White Ibis, Limpkin, Blue-winged Parrotlet, Cattle Tyrant, Savanna Hawk, Snail Kite, Lage-billed Tern and many more. 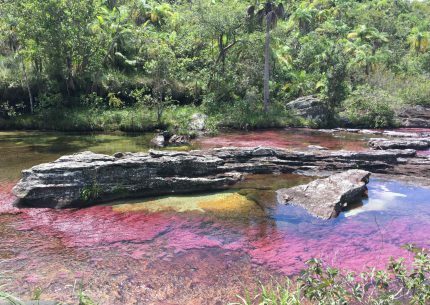 Discover Colombia’s hidden rainbow river. 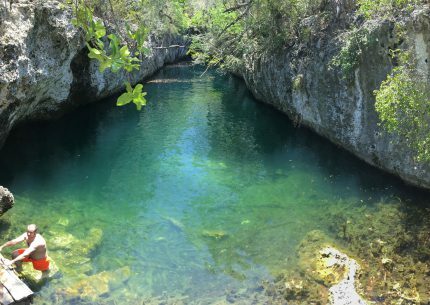 You will jump on a boat, travel by car and walk through the forest to reach and swim at Caño Cristales, a series of rivers and waterfalls that will take your breath away.